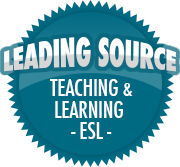 Teaching ESL: My Top 3 Spelling Games | So, You Think You Can Teach ESL? These are great tips for fun games! When I first started teaching I was always trying to find ways to fill the time. My first year or so was an embarrassing mess. The elementary students became bored more easily than expected. Those early days were spent endlessly repeating words, reading passages over and over, and moving through the books way too fast. I remember my boss getting angry when we finished a book too soon because I didn’t know what else to do. I had to learn some new strategies and techniques for keeping younger children entertained and more importantly, excited to learn English! Nowadays, I could easily fill a three hour block with activities, with or without materials.